Last week, the U.S. military announced an accomplishment that has come to define progress in the war on terrorism—the death of yet another senior terrorist leader. These now-routine reports are touted by officials as bringing “justice” to terrorists, delivering a “significant blow” to their ability to maneuver and operate, and even "eradicating" the threats they pose. On Friday, a spokesman for U.S. Central Command (CENTCOM), Colonel John Thomas, told reporters that special operations forces had killed “a close associate” of the leader of the self-proclaimed Islamic State, Abu Bakr al-Baghdadi. This announcement came fifteen days after the ground raid that killed him on April 6—coincidentally, the same day as President Donald Trump’s cruise missile strike on an airfield in Homs, Syria. As the United States ramps up its airstrikes and targeted raids against the Islamic State in Iraq, Syria, and Afghanistan, there has been a corresponding increase in reported civilian casualties. 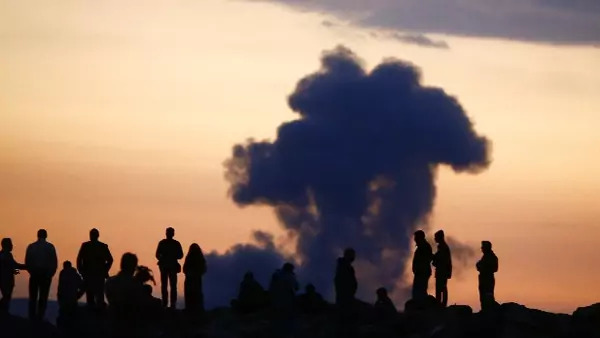 Airwars estimates that at least 3,111 civilians have been killed in U.S.-led coalition airstrikes since the anti-Islamic State air campaign began in August 2014. However, CENTCOM implausibly assess that “at least 229 civilians have been unintentionally killed” in all 19,607 strikes. CENTCOM publishes a monthly civilian casualty report including reported non-combatant casualties found credible (meaning a strike more likely than not resulted in the death or injury of a civilian), those found non-credible (meaning there is not sufficient information to determine whether a civilian was harmed), and ongoing investigations. There are currently forty-three open investigations, one of which has been going on for over a year. We can only speculate why there is such a vast disparity between the time it takes to investigate the death of a civilian versus the death of a terrorist. However, what this inconsistency demonstrates is that publicizing the deaths of terrorists is a higher priority for the U.S. military than determining the deaths of civilians. For example, last week, a coalition spokesperson, Colonel Joe Scrocca, even acknowledged “we don’t have any means of going and searching out people and, honestly, we don’t have the manpower” to conduct rigorous investigations of reported civilian casualties. The Pentagon claims that it “takes all reports of civilian casualties seriously and assesses all reports as thoroughly as possible.” If this were the case, though, then there would be sufficient surveillance and analytical resources dedicated to thoroughly and more quickly investigate reported civilian casualties. As the former U.S. Air Force’s deputy chief of staff for intelligence, surveillance, and reconnaissance, Lieutenant General Bob Otto (ret. ), observed in October 2015, “If you inadvertently—legally—kill innocent men, women, and children, then there’s a backlash from that. And so we might kill three and create ten terrorists.” If Otto’s concerns are to be believed, then investigating claims of civilian harm, holding those in the chain of command responsible to account, and assuring that past errors are not repeated should be as high a priority as is killing yet another in the seemingly inexhaustible supply of senior terrorist operatives. Unfortunately, the military is more committed to boasting about killing alleged terrorists than determining when non-combatants are harmed in the process.